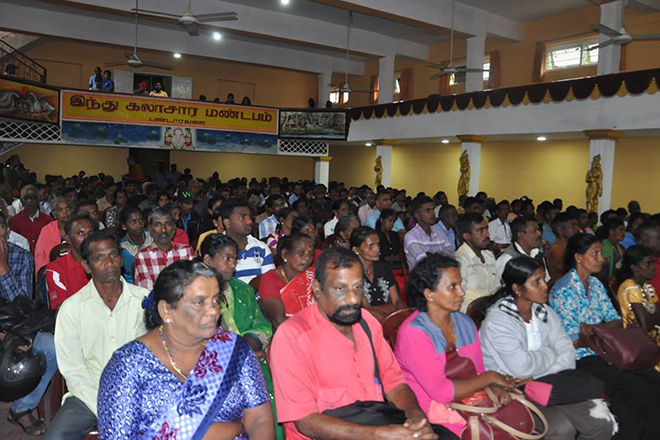 The plantation trade unions have betrayed the Rs.1000 struggle of the plantation workers by agreeing to increase the basic salary of plantation workers up to Rs.700.00. 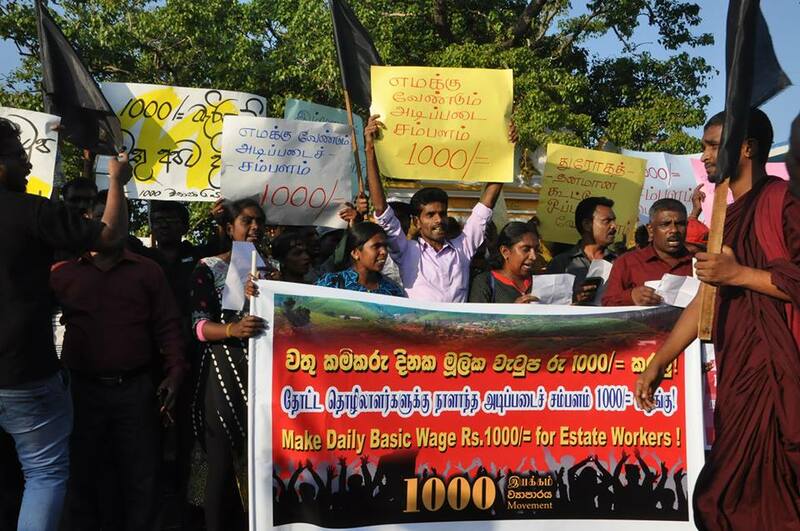 The estate workers staged strikes and protests for months for increasing their daily basic salary of Rs. Five hundred thirty to increase to 1,000 rupees and several rounds of discussions were also held with the authorities. 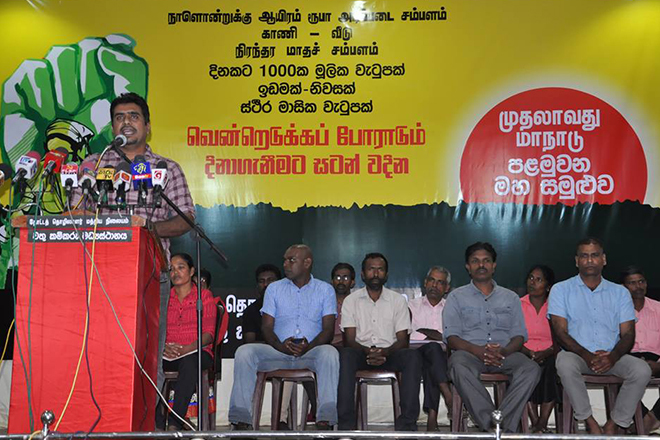 Recently, other union unions, mass organisations and social activists together with plantation workers launched a 1000th movement to increase the basic salary. 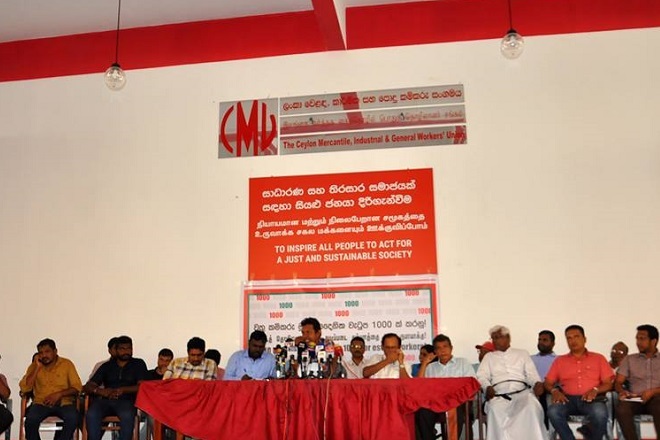 Political observers thought that the ruling party, which had so far held talks with the demands of workers, has called for an urgent discussion on the 25th because of this unite movement. Accordingly, estate employees have agreed to increase the basic salary up to Rs. 700 per day and a daily allowance of Rs.50. 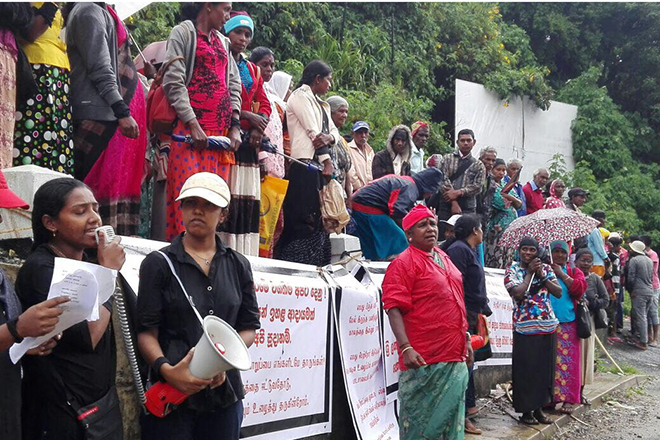 Moreover, the estate union workers have agreed with the employers to sign the agreement on Jan 28 regardless of the will of the plantation workers for a new contracted collective agreement. 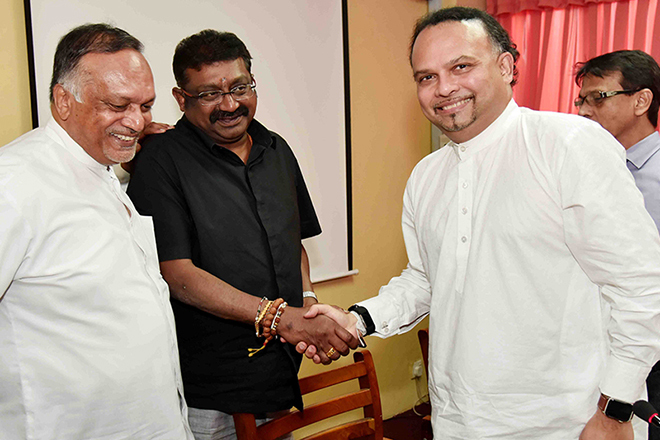 In the meantime, Labor and Trade Union Minister Ravindra Samaraweera has promised that the government will pay 150 million rupees to pay arrears due to the delay in signing the Collective Agreement. Minister of Plantation Industries Navin Dissanayake, Labor and Trade Relations Minister Ravindra Samaraweera, Minister of State Wadivel Suresh, Parliamentarians Arumugam Thondaman, representatives of the plantation sector and representatives of the plantation companies participated at this discussion.